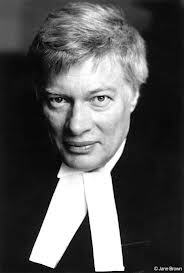 The report of an independent enquiry conducted by Geoffrey Robertson QC into the legality of proceedings and punishments in the Bangladesh International Crimes Tribunal will be published on April 14th 2014. In view of impending executions, Mr Robertson has released this summary of his conclusions. Mr Robertson was the first President of the UN’s Sierra Leone War Crimes Court and from 2008-2012 served as a ‘distinguished jurist’ on the Internal Justice Council of the United Nations. He has reviewed all the hearings and sentences of this Tribunal up to the present date. It is generally accepted that the invasion of East Pakistan (now Bangladesh) in1971, by the army of West Pakistan (now the Pakistan Army) with the support of local Islamic parties, saw in the course of that year the commission of war crimes, crimes against humanity and in all probability genocide. It is lawful and appropriate that those, of any nationality, implicated by credible evidence in such dreadful crimes should be prosecuted, however belatedly. Any such prosecution must be pursuant to laws that operated in the territory in 1971, and carried our under procedures that are internationally acceptable in 2013. It breaches rules of procedural justice, because there is compelling evidence that certain of its judges are biased, have no understanding of or training in International Law, and have been amenable to manipulation by the government. Its defendants have been denied their rights to a fair trial. For example, they may not be advised by foreign lawyers, they are explicitly denied their constitutional rights; their witnesses are limited in number and unprotected; cases can be heard and determined in their absence; the prosecution has no duty to disclose exculpatory evidence; they have not been given adequate time and facilities to prepare their defence or to communicate with their counsel and the judges have not applied the proper burden and standard of proof. Of particular concern is the Tribunal’s approach to death sentences, some of which have already been imposed in circumstances which infringe international norms, for example because the government has disavowed the prerogative of mercy. The execution of Abdul Mollah was devious and deplorable; this man was sentenced to life imprisonment, but after public demonstrations (encouraged by the government) the law was changed to enable the prosecution to appeal and appeal judges were pressured to change the sentence to that of death so that Mollah could be the first defendant to be hanged. Mr Robertson’s comprehensive review of the Tribunal’s work to date concludes with a number of recommendations which he says are urgent “before further hangings take place after unjust trials”. He will recommend immediate action by the Security Council to establish an ‘ad hoc’ international criminal court to try cases arising from the 1971 conflict, to be situated in The Hague (or a third country) and not in Bangladesh, India or Pakistan. The Security Council should order all existing trials to be suspended with the evidence passed to the prosecutor of the ad hoc court so that defendants can be retried fairly, and without the death penalty. There must be an office for the defence and a dedicated victims’ protection unit. Mr Robertson further recommends that the prosecutor be given power to investigate and indict perpetrators of international crimes on all sides of the conflict, including former members of the Pakistan Army, and senior Pakistani politicians who are still alive, and any Indian or Bangladeshi official who bears significant or command responsibility for the 1971 atrocities. “The failure of the international community to punish the genocide in Bangladesh when it happened, back in the 70’s occurred at a time when the legacy of Nuremberg had not been recognised. Pakistani leaders bear a large responsibility for initiating the atrocities, and no attempt has been made for forty years to bring them to justice. But it is never too late. These current trials must be conducted properly, or not conducted at all. It is not right that members of one party only to this conflict should be rushed to the gallows after unfair trials: this demeans international law and the international community that should uphold it”. Mr Robertson’s report points out the extent to which Bangladesh relies on humanitarian aid, and recommends that the UN, the EC and other donor countries and NGOs should suspend this if the government continues the executions.